The music business has always been known for its creative online solutions regarding design and content. An interesting domain name can add another touch of creativity. 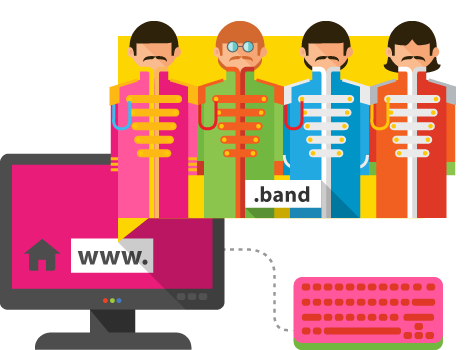 The .band domain is the right choice for any music band. Tell your fans about everything new going on around you. Show them where they can buy concert tickets, albums, posters, and t-shirts with your image in an original way through the .band domain.